Borderlands 3, the hotly anticipated sequel to Gearbox’s looter shooter, was revealed a few days ago. The initial announcement had fans shaking with excitement, but the news of the game being an Epic Store exclusive quickly extinguished the flame. Although the community has been vehemently protesting 2K’s decision, their love for the previous Borderlands game has only grown stronger. As recorded by GitHyp, Borderlands 2 is seeing a large influx of players. In fact, the game flew back to Steam’s top 5 most played games. 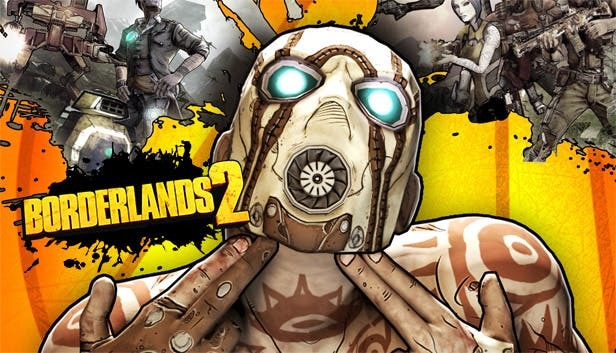 Earlier this week, Borderlands 2 recorded a peak of 60k concurrent players. This is pretty impressive when you compare it to the game’s all time peak of 124k concurrent players in September 2012. This surge in player count can be accredited to the free 4K texture packs released earlier this month. Alongside a complete remaster of the first game, Borderlands 2 and The Pre-Sequel each got an ultra HD texture pack as a free download. The numbers were further boosted thanks to a massive sale on the entire series. Borderlands: The Handsome Collection, a bundle containing Borderlands 2, The Pre-Sequel, and all downloadable content, was discounted by 74%. Although it seems that thousands of players are enjoying the game, Borderlands 2 is ironically undergoing a spell of review bombing on Steam. In protest to Borderlands 3’s exclusivity deal, die-hard PC fans of the series are leaving negative reviews on all previous Borderlands titles on Steam. However, thanks to Valve’s new “off-topic review activity” feature, the game’s overall user score remains unaffected. Borderlands 3 launches on PlayStation 4, Xbox One, and PC on September 13th. The PC version of the game will be exclusively available on the Epic Games Store until April 2020, after which it will release “on additional PC digital storefronts”. In the meantime, fans are having a great time playing through the previous games in the series.